Bu websitesi sizlere bu muhteşem şehirlerle ilgili kısa bilgiler içermektedir. 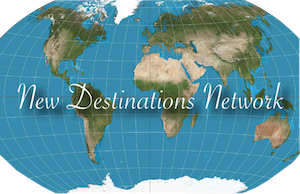 New Destinations Network, bu sitede dünyanın birçok yerinden gelen Turkiyeye gelen ziyaretçilere tecrübe ve gözlemlerini paylaşır. Eğer bu güzel şehirlerde yaşıyorsanız veya temasınız varsa, NDN sizlerden buralarla ilgili yeni bilgi ve aktivitelerle ilgili bilgi paylaşımlarınızı öğrenmek ister. New Destinations Network sitesinden şirketlerin/organizasyonların uluslararası tanıtım reklam ve promosyonlarını paylaşma fırsatı verir. Istanbul is located either side off the Bosphorus Strait in northern Turkey. This stretch of water links the Aegean and Black Sea, so is and always has been a very busy waterway. There are 3 large bridges that cross the strait, joining what are now known as the European and Asian sides of the city. This monster of a city has over 15 million residents, which makes it the largest in Europe and is actually bigger than 17 countries. Turkish Airlines have regular flights to Istanbul and all Turkish airports, so it is easily accessed from all parts of the world. People have inhabited this region for over 3000 years, which was originally known as Byzantium and then Constantinople, before being renamed Istanbul. It has influences from a variety of cultures and it is known as the ‘bridge between east and west’. Being a major Roman settlement and obviously then Ottoman, but also having influences from many settlers to the region, it has made it a very culturally diverse city, which can be seen in its; food, drinks, music, clothes, architecture, religion and day-to-day life. It would be a near impossibly to see all of Istanbul in just one day, so it is advices that if visiting this metropolis, give at least 2/3 days to do it justice. It is strongly advised to use the services of an established and professional Tour Company, so visitors can get the best out of these amazing attractions and this stunning country. Pienti Travel and Tour Operator is the best in the business, so is highly recommended. 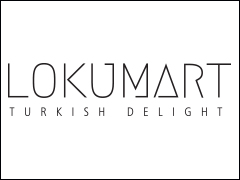 Turkish delight is a well-known dessert/sweet and the LOKUMART brand already an established name in Turkey is now looking to expand around the world. The artistic imagery and packaging carefully demonstrating this rich ‘cuisine art’. It accompanies all coffee and teas, but especially Turkish, but is also a delicacy on its own. The LOKUMART assortment is vast and interesting and includes aromas and ingredients to excite all tastes. LOKUMART are activity looking for distribution and sales partners around the world, so get in touch if you are interested. 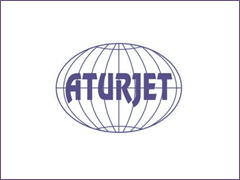 ATURJET is the local association of the World Federation of Travel Journalists and Writers (FIJET) and is always looking for new members and organisations to collaborate with, in order to promote and increase exposure for the country. One of its most important and famous locations is the Golden Horn, which is the natural harbor area and has been a crucial center for trade for many years. The Grand Bazaar, which is world famous, as it has over 4000 shops and 21 entries and exits, is sometimes the first port of call for visitors. They say that if you cannot find what you want at this market, you cannot find it anywhere in the world? The colours, noise, smells, atmosphere, choice of goods and services, is a unique experience and not many people leave without buying something. The Spice Bazaar or Egyptian Bazaar, as it is known by some, is less popular for tourists, but used by thousands of locals for their daily shopping. Many think that this venue is an even better place to visit, as it is the heart and soul of Istanbul and the smells are incredible. Nearby is Galata Bridge, which is the most famous of the 3 that span the Bosphorus, as it is pictured regularly on material about the city. Fishermen line the bridge 24 hours a day and are constantly catching a variety of fish, which are either taken home or sold to the restaurants that are actually located under the bridge. The bridge looks spectacular at night as it has the lights from the busy restaurants, street lighting, passing traffic and individual fishermen too. At the base of the bridge are moored traditional looking boats, which are now floating cafes. The local and simplest made delicacy is a fresh fish sandwich, which must be tried when there! A very popular activity when visiting Istanbul is to take part in a cruise of the Bosphorus, one of the major departing points, being at the Galata Bridge. It takes approximately an hour and a half and weaves from one side of the strait to the other, to ensure passengers can view the many important and impressive building and locations. There is the Rumeli Hisari Castle, The Military Academy, Reyna Night Club, several Palaces and much more. When back on land, head to the nearby Roman Hippodrome, which was used for many sporting events and gathering. It is now surrounded by many important buildings and pieces of architecture. One of the most visited is the Blue Mosque, as it is known locally, due to the blue coloured ceramic tiles that cover the internal walls. It is actually called the Sultan Ahmed Mosque and was built in 1609 during the rule of Ahmed the First. It looks magnificent, with five main domes, six minarets and eight secondary domes. Saint Sophia (Hagai Sophia) Church is one of the most visited venues in Istanbul and at the height of the season the queues to enter can be over an hour, so ensure tickets are obtained in advance, but it is worth it. Claimed to be the best example of Byzantine architecture in Turkey, this once church and mosque, is now a museum. This is a spectacular venue, with its huge central dome, 4 minarets, niche, fountain, marble lined walls and gilded calligraphy of Koran verses. Also look for the good fortune thumb hole? Topkapi Palace is the largest Palace in Istanbul and was one of the major residences of the Ottoman sultans. It is amongst the monuments contained within the ‘Historic Areas of Istanbul’, which became a UNESCO World Heritage Site in 1985. It once was home to over 4000 inhabitants and had mosques, accommodation, hospital, bakery, mint and many other buildings. Now it has several museums with artefacts from that grand time, plus amazing shoreline views of Istanbul. To really understand and get a feel for what Istanbul is all about, it is best to explore some of the districts away from the center, such as Taksim. This a has a large open square, which is used for a variety of gatherings and events. It has a very busy shopping street called Taksim Istiklal, which has every type of shop a tourist would want, including traditional art and crafts, but designer brands too. A little hidden gem can be found just off this busy street in Passage Hazzopolo, which is a quaint square of second hand and crafts shops, but with a great local tea room. A short but fun trip is to take the underground railway (Tunel), which is just one stop long, from Karakoy to Beyoglu. Only 573 meters long, but on an uphill gradient, it is the second oldest underground railway in the world, being built in 1875, just after London Underground. While in this area, it is worth a visit to Galata Tower, which is famous medieval stone tower. The area surrounding the tower is now very popular for the number of trendy bars and restaurants and very popular with local young people, especially those with a liking for art, style or culture. Another interesting district to discover and spend some time is Ortakoy, which is a growing in popularity, but still a calm and beautiful village type district on the shores of the Bosphorus. Known as the place to relax and chill-out from the stresses and strains of daily life in Istanbul. If it is style, wealth and quality that is required then visitors should aim for the distinct of Bebek. Known as ‘Little Cannes, this bay village has expensive yachts moored throughout the harbor area, high class boutiques, top class restaurants and stylish bars. No visitor to Turkey and especially Istanbul, can fail to see how important food and drink is to the daily routine and lifestyle of all who live and visit! A must try are the variety of kebabs available in all traditional venues, baklava dessert which again comes in many different types, plus the world famous Turkish tea and coffee. An interesting drink, which is like marmite (loved or hated), is Ayran, a yogurt drink that has had water and salt added, which gives it a frothy head? Istanbul is an interesting and culturally diverse city with many districts, all having a different feel, style and atmosphere. Visiting this humongous destination is like seeing different cities on a tour of a whole country, so it is an amazing experience, as it is simply an amazing city!